Dental veneers are often called porcelain veneers they are very thin, custom-made shells of tooth-colored materials designed to cover the front surface of teeth to improve your appearance. These shells are bonded to the front of the teeth allowing you to change the color, shape, size, or length of your teeth to your preference. Before the dental veneer is permanently cemented to your tooth, your dentist will temporarily place it on your tooth to examine its fit and color. He or she will repeatedly remove and trim the veneer as needed to achieve the proper fit; the veneer color can be adjusted with the shade of cement to be used. Next, to prepare your tooth to receive the veneer, your tooth will be cleaned, polished, and etched — which roughens the tooth to allow for a strong bonding process. A special cement is applied to the veneer and the veneer is then placed on your tooth. Once properly position on the tooth, your dentist will apply a special light beam to the dental veneer, which activates chemicals in the cement, causing it to harden or cure very quickly. 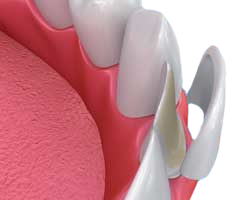 The final steps involve removing any excess cement, evaluating your bite and making any final adjustments in the veneer as necessary. Your dentist may ask you to return for a follow-up visit in a couple of weeks to check how your gums are responding to the presence of your veneer and to once again examine the veneer’s placement. When teeth repair is needed due to decay, infection, accidental trauma, or wear and tear, the repair is based on multiple factors. How much of the tooth is left? Is it a front tooth or back tooth? Does it have an abscess? Does it need a root canal? Do you clench or grind your teeth? From simple fillings to computer milled crowns, Dr. Murasko will present options that are appropriate for your condition specifically. Dr. Murasko does not use mercury containing filling materials. Learn How Dental Veneers Can Dramatically Update Your Smile. Many people overlook dental veneers because they are uncertain of what they can do and what they may cost. Crossings Dental solves these legitimate concerns by providing to you treatment costs up-front. After your initial exam, we can better estimate your dental options and associated costs, with or without insurance. You will not be under any pressure to take on treatment yet when you leave our office you will have in your hands a full understanding of any treatment needs and their costs. 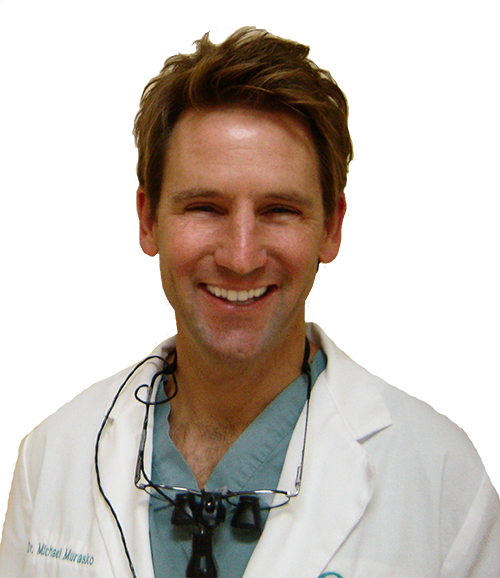 Dr. Murasko has over 18 years experience with cosmetic dentistry and all types of dental veneer options.